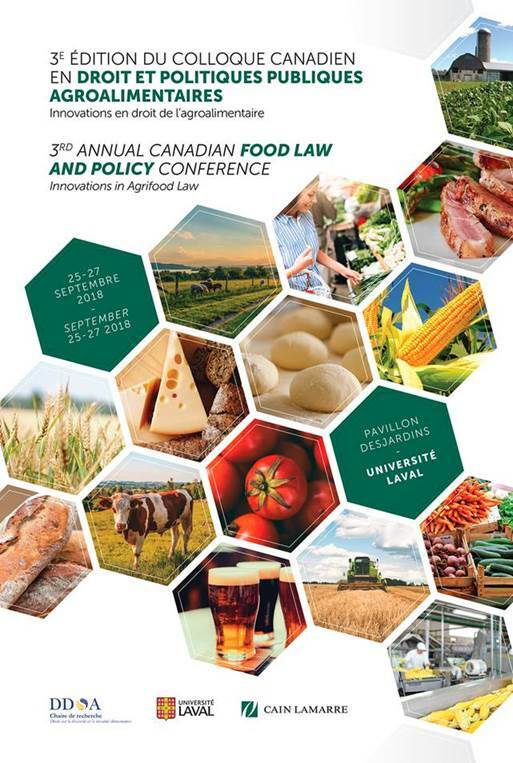 We have held three national food law and policy conferences. Find information on the previous conferences below. 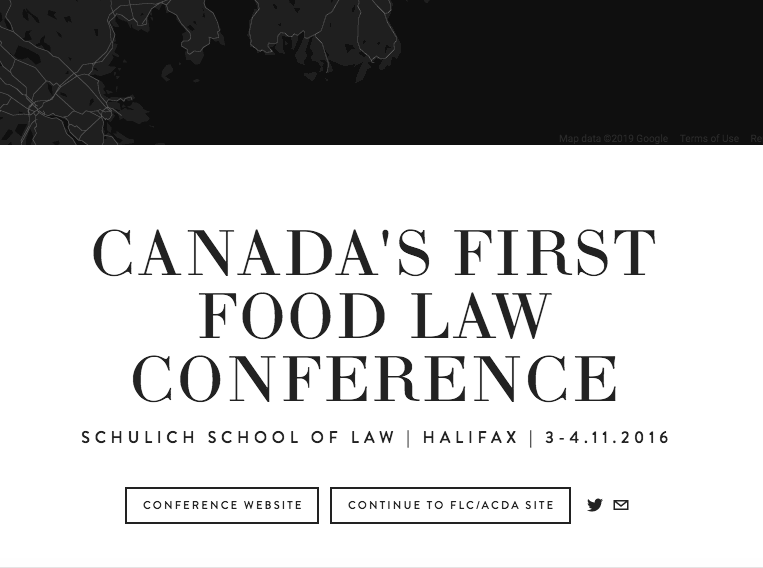 Our 1st conference - “The Future of Food Law & Policy” - was held in Halifax, Nova Scotia in November, 2016. 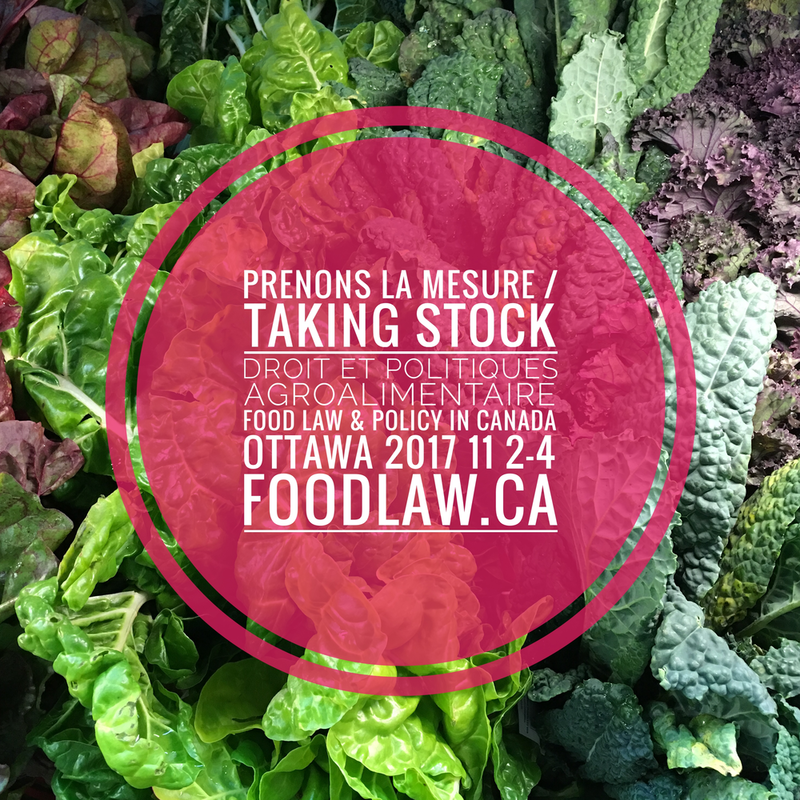 Our 2nd conference - “Taking Stock: the State of Food Law & Policy in Canada” - was held in Ottawa, Ontario in November, 2017. Our 3rd conference - “Innovations in Agrifood Law” - was held in Quebec City, Quebec in September 2018.